Little League® International mourns the passing of V. Jud Rogers, former Senior Marketing Executive for Little League® Baseball and Softball. He was 70. Mr. Rogers, a native of Topeka, Kan., was a resident of Knoxville, Tenn., at the time of his death. He joined the Little League International staff in July 1999, as Director of Marketing and Public Relations, after more than 20 years of experience in the publishing and financial services industries. At Little League International in Williamsport, Pa., Mr. Rogers was responsible for all aspects of sponsorship, licensing, and merchandising. In 2003, he was elevated to Senior Marketing Executive, and retired from the organization in 2009. While in Williamsport, he also found time to serve on the local chamber of commerce and the board of directors of Lycoming College, and helped create Leadership Lycoming, a program that encourages young members of the business community to invest their talents in improving quality of life for their city. Receiving training as a secondary English teacher, coach, and newspaper advisor in Topeka, Mr. Rogers earned his bachelor’s degree from Washburn University (Topeka), and did post-graduate studies in guidance and counseling at the University of Kansas. Following graduation, he taught English at various schools in Topeka, while also coaching multiple sports, winning city and state championships in basketball. He eventually went to work for the local newspaper, the Topeka Capital-Journal, where he began to rise in the management ranks, moving to train at newspapers in Independence, Mo. ; Shawnee, Okla.; Arkansas City, Kan.; and Williamsport. 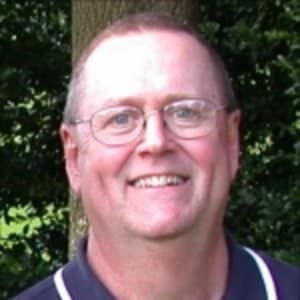 He served for 16 years in various capacities as a publisher, editor, general manager, personnel manager and circulation manager with Stauffer Communications Incorporated. In 1993, he joined Northern Central Bank, rising to the position of vice president. Mr. Rogers, who was also a Naval Reservist, is survived by his wife of nearly 49 years, Linda; son, Bret; daughter, Brooke; sisters, Ardith and Judy; six nieces and nephews; and seven grandchildren. In memory of Mr. Rogers, his family asks for well-wishers to consider making a contribution to the American Heart Association.